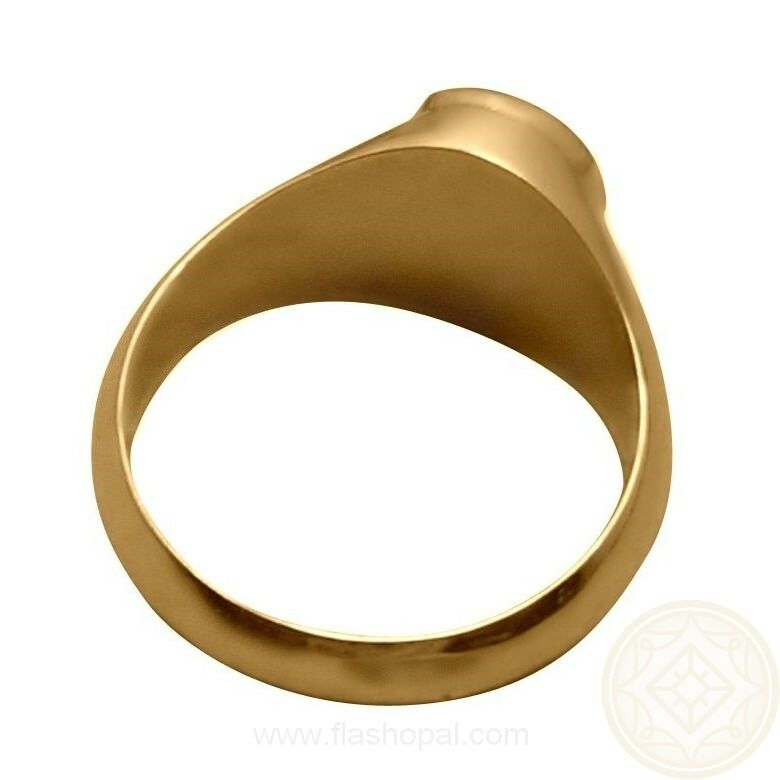 This mens ring is masculine and stylish. 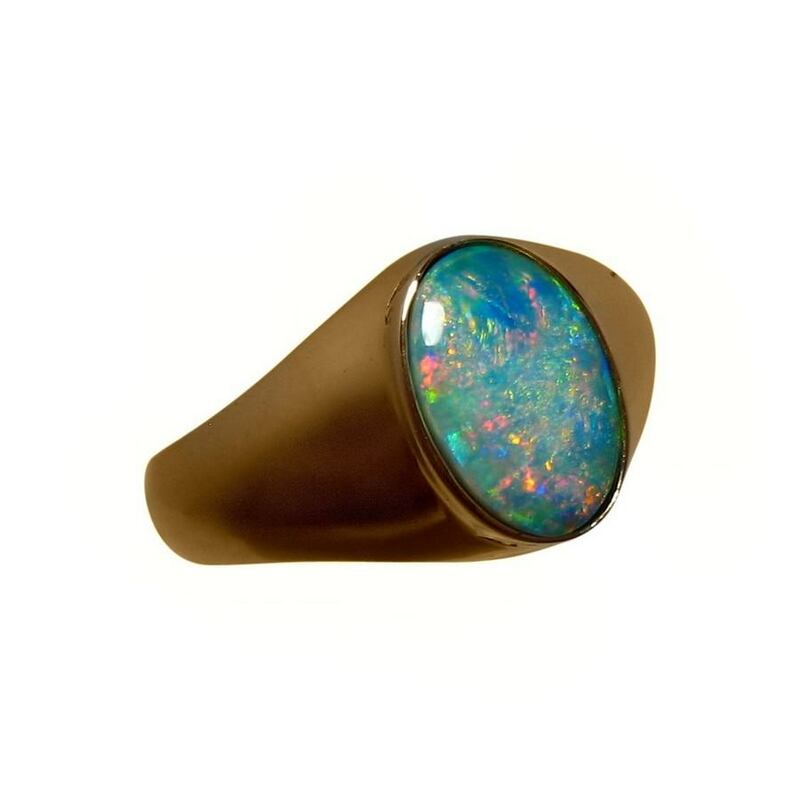 The 14k Gold ring is set with an oval Lightning Ridge Opal that is bright and colorful including the uncommon Orange which the video below will indicate better than the photos. 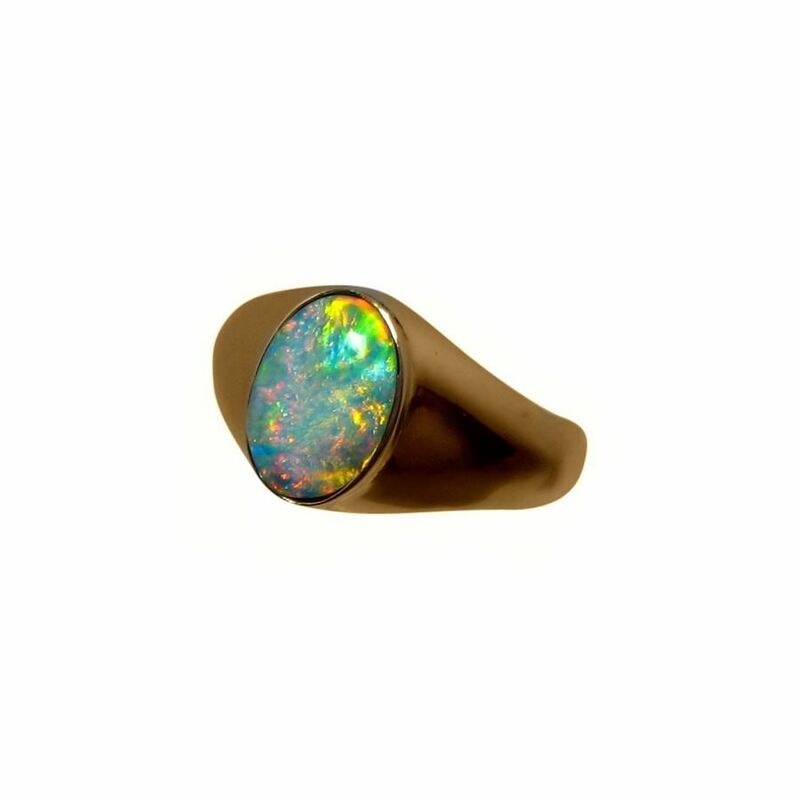 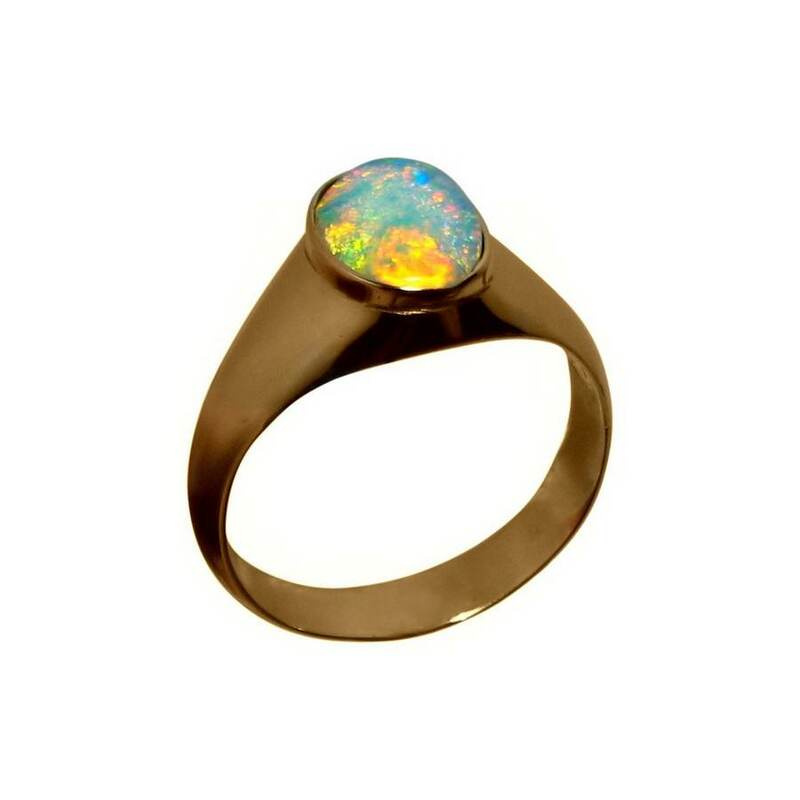 The Opal is shown in a 14k Yellow Gold ring which is almost half an inch across and weighs almost 7 grams with the Gold finished with a high polish. 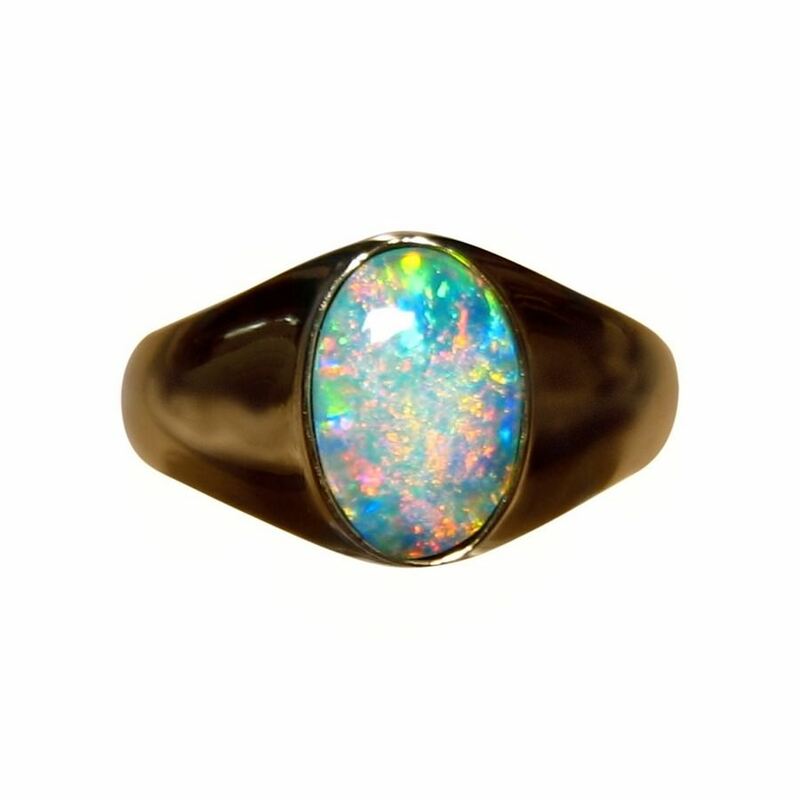 The images do not capture the professional finish of the ring and the article on Photographing Opal Jewelry may be helpful to understand and assure you of a quality product. 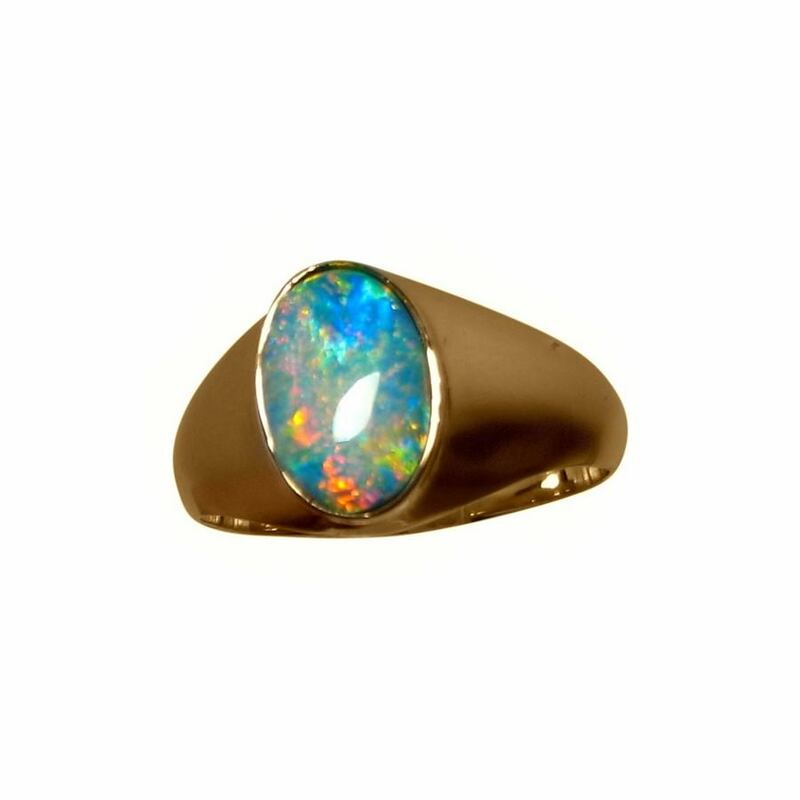 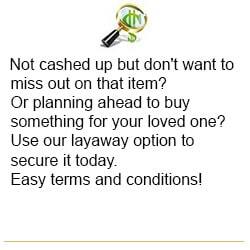 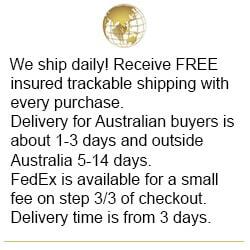 The ring is ready to ship as advertised or can be made in any ring size and Gold color and will take about 7 days to make before shipping. 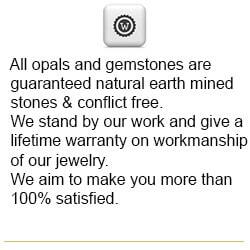 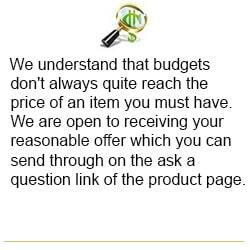 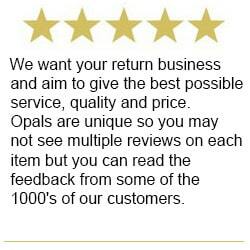 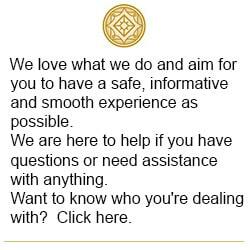 Beautiful stone & ring and really pleasant people to deal with!